Just as your own primary care physician will sometimes recommend that you see a cardiology specialist for heart related issues, your veterinarian may recommend a referral to a veterinary cardiologist for your pet. Cardiology focuses on the treatment of diseases involving the heart, the great blood vessels of the body and the lungs. Veterinarians who are board-certified in cardiology receive their certification after completing a minimum of 3 years in a residency program and passing the certification examination from the American College or Veterinary Internal Medicine (ACVIM). The ACVIM is sanctioned and supported by the American Veterinary Medical Association (AVMA). The residency program for an cardiology specialist candidate includes training and supervision by board certified specialists on a variety of diagnostic imaging techniques such as echocardiography, as well on the treatment and management of conditions such as congestive heart failure, cardiac arrhythmias, valvular damage and congenital defects. Does your cat have a heart murmur? 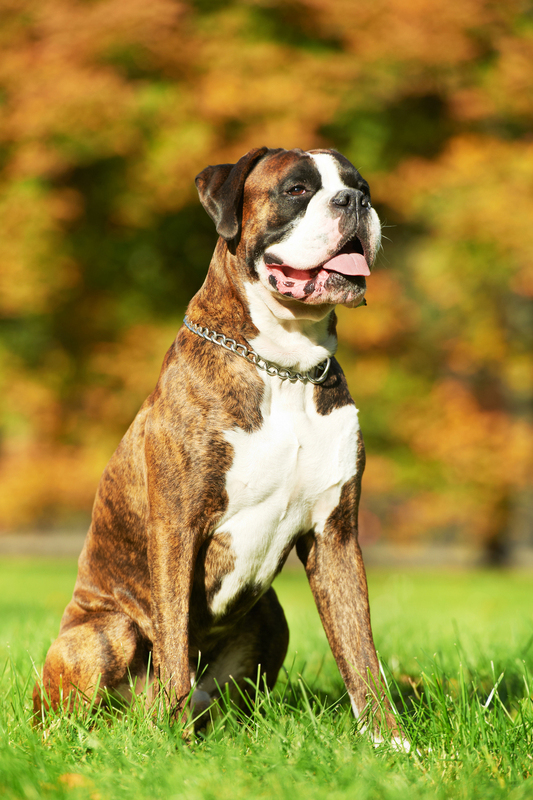 Do you own a Doberman Pinscher, Boxer, Great Dane, Irish Wolfhound, Cocker Spaniel, Newfoundland or St. Bernard? An examination of your pet with a particular focus on factors that indicate cardiac health such as the color of the oral mucous membranes, capillary refill time, resting heart rate, cardiac rhythm, cardiac and pulmonary auscultation, resting respiratory rate and effort and pulse quality. Thoracic radiographs (chest x-rays) provide information about the size and shape of the heart and blood vessels and the appearance of the trachea and lungs. Chest x-rays are considered to be the best and most sensitive tool for assessing congestive heart failure. Monitoring and management of the systemic blood pressure can prevent injury to the heart and can also be helpful in controlling heart disease in pets with pre-existing cardiovascular disease. This procedure refers to the removal of fluid from the sac around the heart (pericardial effusion). Pericardiocentesis is often an emergency procedure. Because a large needle is directed close to the heart, extensive experience in performing this procedure is necessary to avoid complications. An ECG is a non-invasive test that evaluates the electrical activity of your pet’s heart. This test is appropriate for patients that have an arrhythmia (abnormal cardiac rhythm) or cardiac conduction disturbance. It may also be performed in patients with a history of unexplained weakness or collapse. An echocardiogram uses ultrasound to look at the heart. Ultrasound is a painless method for imaging the body using very high pitched sound frequencies (higher than the human ear can hear). The ultrasound allows us to visualize the structure of the heart as well as assess its function and measure the flow of blood. TVRH is pleased to be able to offer Holter monitor services for canine and feline cardiac patients. The 24 hour ambulatory electrocardiogram (ECG), called the “Holter monitor”, is a small, portable medical device that records the heart’s electrical activity continuously. A Holter monitor allows the heart rhythm to be evaluated for an extended period of time during normal daily activities. Holter monitoring is becoming an increasingly valuable, noninvasive tool for veterinary cardiologists to diagnose and monitor both slow and fast heart rates, as well as to manage various cardiomyopathies. Often, canine and feline patients show clinical signs suggestive of an arrhythmia that occur only during certain activities, such as physical exertion, eating, or even during rest. Using a Holter monitor increases the chance of recording periodic arrhythmias associated with these symptoms. The appropriate use of a Holter monitor can therefore provide veterinarians with a method by which we can offer preventative medicine for subclinical cardiac disease as well as better manage symptomatic patients. Please call Triangle Veterinary Referral Hospital to speak with our Cardiology Department with any questions or to schedule a referral.